Christmas is on its way, and with that comes an array of events and nights out where you'll need to look your best. But how do you balance that need for new threads with the most expensive time of year? Topman has the answer. Topman have teamed up with The Skinny to offer one lucky reader the chance to win £100 of shopping vouchers (enter the competition here) and organised a series of extra-special events to allow you to get the most out of the Christmas shopping trip. 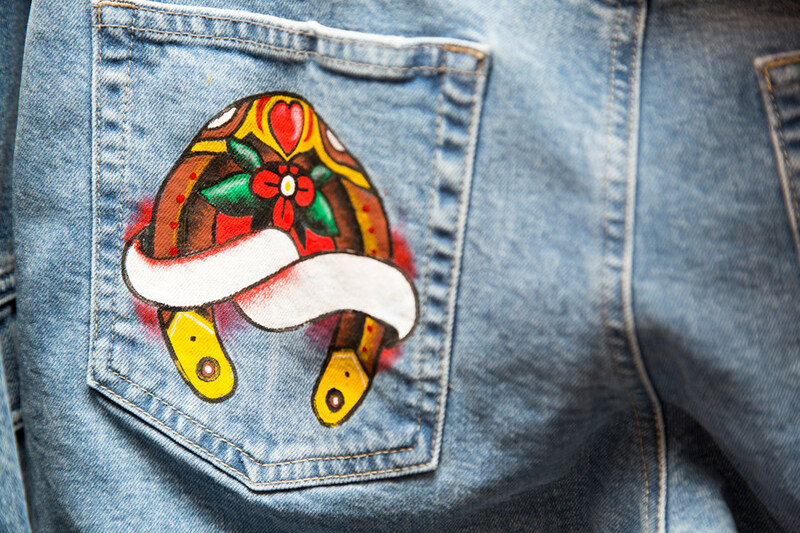 On Saturday 10 December, from 12-6pm, Topman will be collaborating with local tattoo artists and illustrators to celebrate the festive season – customers who spend £40 or more instore will have the opportunity to get their denim purchases personalised by local tattoo artists and illustrators. Customers can choose from one of three example designs and amend colours and add text to personalise. Or if they want they can work with the artist to create a bespoke design. 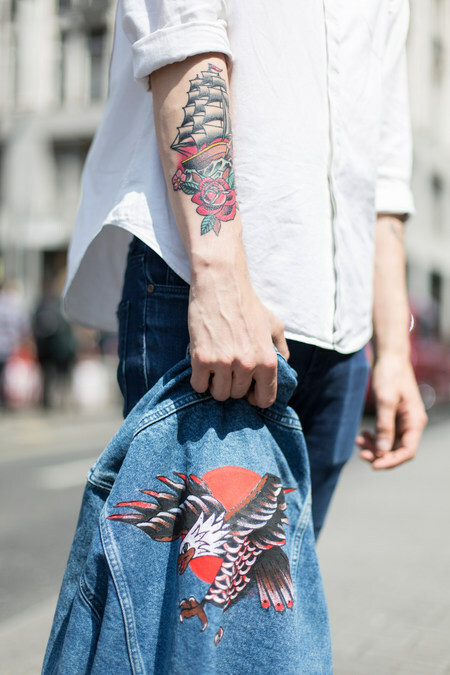 The tattoo artists and illustrators will be using fabric paint and fabric pens that will allow the garments to be machine washable. Simply visit our Personalisation pop up area in store and consult the personalisation specialist. 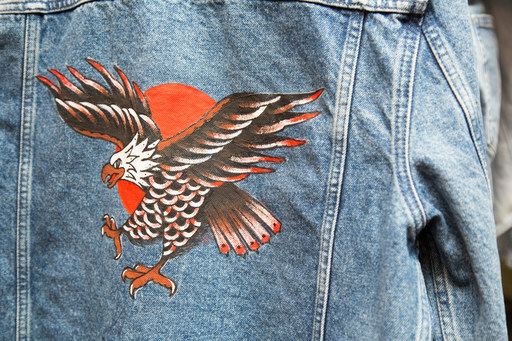 You just need to make sure your item is made of denim – ideally jeans, a jacket or shirt, they can confirm for you then and there if item can definitely be personalised. Once you’ve made your purchase (you just need to spend £40 or more to qualify), take your denim item and your receipt back with you to the pop up. This is when you get to be creative and work with the artist over your chosen design, pick colours and decide how / where you would like your design applied. After that, relax or nip out for a bit more shopping before collecting your design and wearing with pride. Then, on Saturday 17 December, 12-6pm, customers who spend £40 in store will be entitled to complimentary beard and hair trims. Influential barbers in each city will host the pop-ups. No appointments necessary – this will be offered on a first come, first served basis. There will also be live DJs in store. Visit Topman branches in Edinburgh for Twelve Triangles treats, Glasgow for Nic’s NYC Deli, and Manchester for Manchester Egg. *There will be one winner each on Saturday 10 December, Sunday 11 December, Saturday 17 December, Sunday 18 December and Saturday 24 December 2016. The winner of the Prize Draw will be the first customer to purchase on a chosen till point closest to the time selected by Topman. There is one winner every day during the store’s trading hours. Each prize shall consist of all the items in the customer’s shopping to maximum value of £500. Topman items only. No other items can be added or changed once the customer has been notified they are a winner and the prize must be claimed instantly. If the items are not suitable they can be exchanged for an item of the same value within our normal refund policy. There is no cash alternative and only refundable if faulty. Topman’s decision will be final and no correspondence will be entered.